We put the “ART” in Party!! 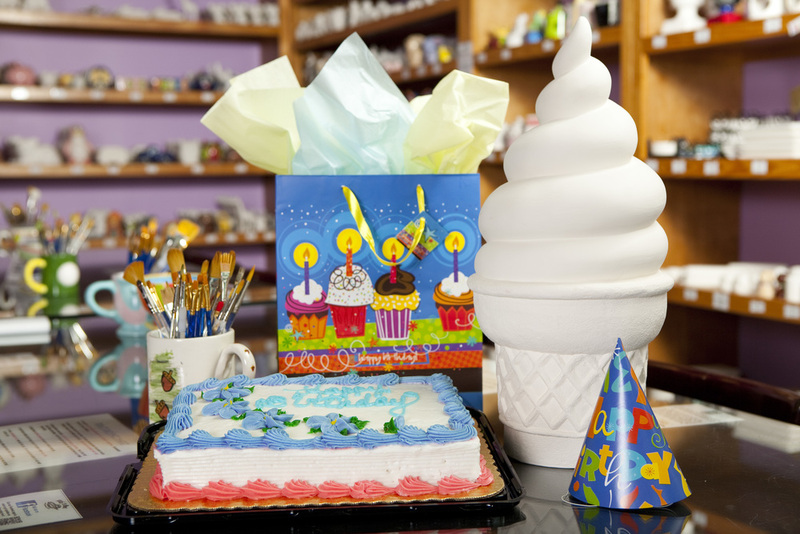 A birthday party at Ceramics a la Carte is the perfect way to celebrate your child's special day. It is simple, fun and stress free. You will have a dedicated Ceramics a la Carte staff member on hand to help the children and run the party. We offer pottery, canvas and mosaic birthday party packages. All parties include 1 1/2 hours of studio time, a dedicated staff member, invitations, all pottery, canvas, mosaic, paint supplies, and glazing & firing (if applicable). We require a minimum of 8 guests. A $50 non refundable deposit reserves your date and time. Due to studio size, we recommend that children be dropped off for all parties; guest parents are encouraged to patronize the many fine shops and restaurants here at the mall.